Mars rover Opportunity has been operating on the surface of the Red Planet since 2004, but a dust storm this summer may prove to be the mission’s toughest challenge. The enormous storm caked Opportunity in dust and blocked out the sun, its source of energy — and there’s no guarantee the batteries aren’t dead for good. But now that the skies have cleared, we at least have our first look at the workhorse rover from orbit since it went radio silent. The Mars Reconnaissance Orbiter captures fabulous imagery of the planet at a regular rate, but it happened that it passed over Perseverance Valley last week, where Opportunity is currently stationary. 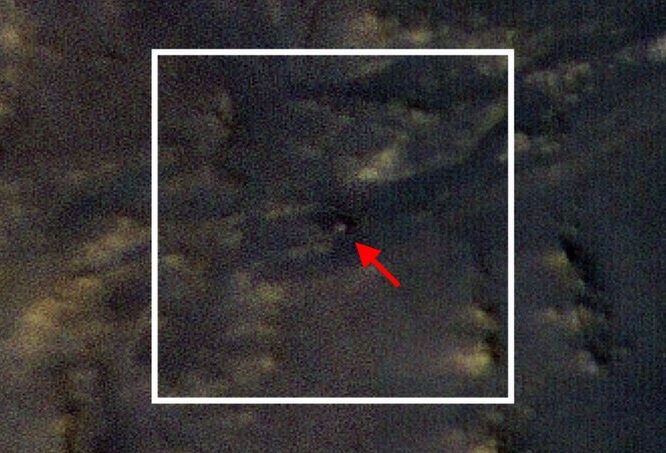 In the image you can just make it out as a few pixels raised above the surface. That valley isn’t the only place that was hit by the storm — this was no flurry but a full-blown planet-spanning tempest that lasted for months. It isn’t the first dust storm Opportunity has weathered by a long shot, but it was probably the worst. 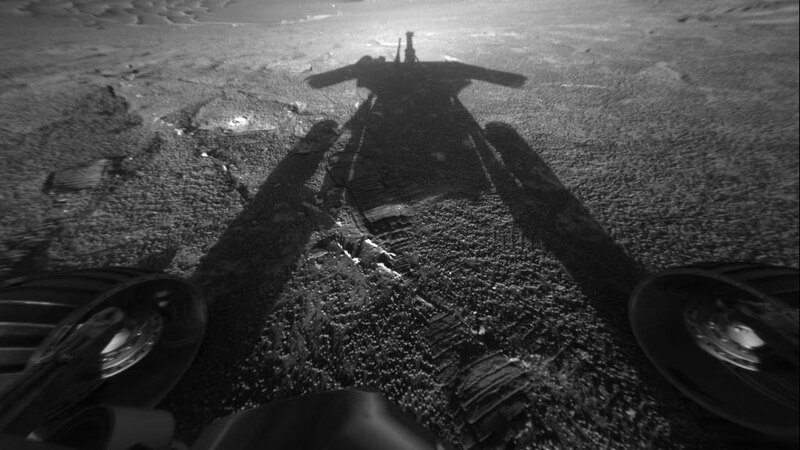 An Opportunity shadow-selfie from 2004, when Opportunity was comparatively young (and had “only” doubled its mission length). That’s the hope, anyway. There is of course the possibility that the dust has obscured the solar cells too thickly, or some power fault during the storm led to the safety circuit not working… there’s no shortage of what-if scenarios. But space exploration is a unique combination of the deeply realistic with the deeply optimistic, and there’s no way Opportunity’s handlers aren’t going to give the little rover all the time it needs, within reason, to get back in touch. The team has been sending extra signals out to spur a response from Opportunity and will continue to do so for the next few weeks, but even that won’t be the end of the line. Thomas Zurbuchen, associate administrator at NASA’s Science Mission Directorate, assured the many Opportunity superfans out there that they plan to keep listening at least through January. And you can bet a few sentimental types will find a way to check now and then after that as well. Should the worst happen and the dust storm appear to have disabled the rover for good, that would still be a hell of a run — Opportunity was intended to last for 90 days and has instead gone for 14 years. Nothing sad about that. But here’s hoping we hear from this long-lived explorer soon.